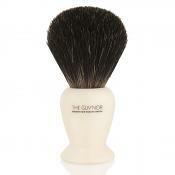 Badger and boar, the best of both worlds to create the ultimate economy brush! 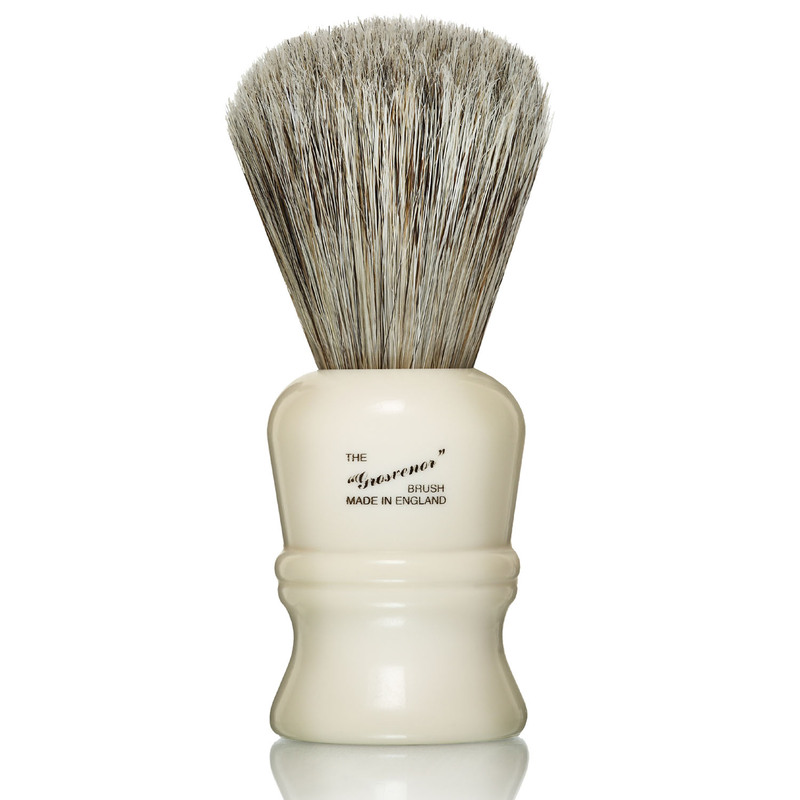 This economical yet highly regarded brush is an established wet-shavers favourite. The lathe turned handle is hand filled with a mix of Pure badger and bristle hair which provides decent backbone yet will soften up with use making it ideal for both soaps and creams. 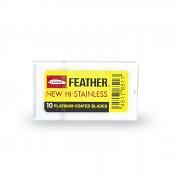 Regarded by many as the best value brush around, you won't be dissapointed! Spot on for the price. The boar bristles are very study and do the job well. Some have fallen out but 4 years on from purchasing it's still going strong. Its all the brush you need for a great price but I do like my silver tip brush better. Excellent and very inexpensive high quality brush. Pretty easy to break-down. I like this brush bacause it has stout backbone and hard soaps and creams will be obeyd this brush. Highly recommandable! This is my first decent shaving brush bought from Shaveing Shack and I can't fault it. A good price lovely to use. 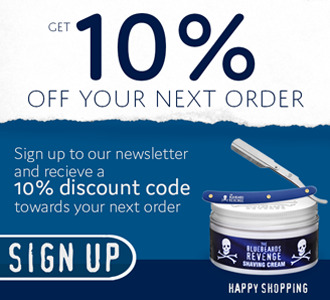 I now use The Blue Beards Revenge range every day and works very well with the Shaveing soap. Dries well if stored properly on a stand. Worth every penny. Really nice brush. 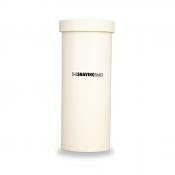 If you don't want to break the bank you won't go wrong with one of these. 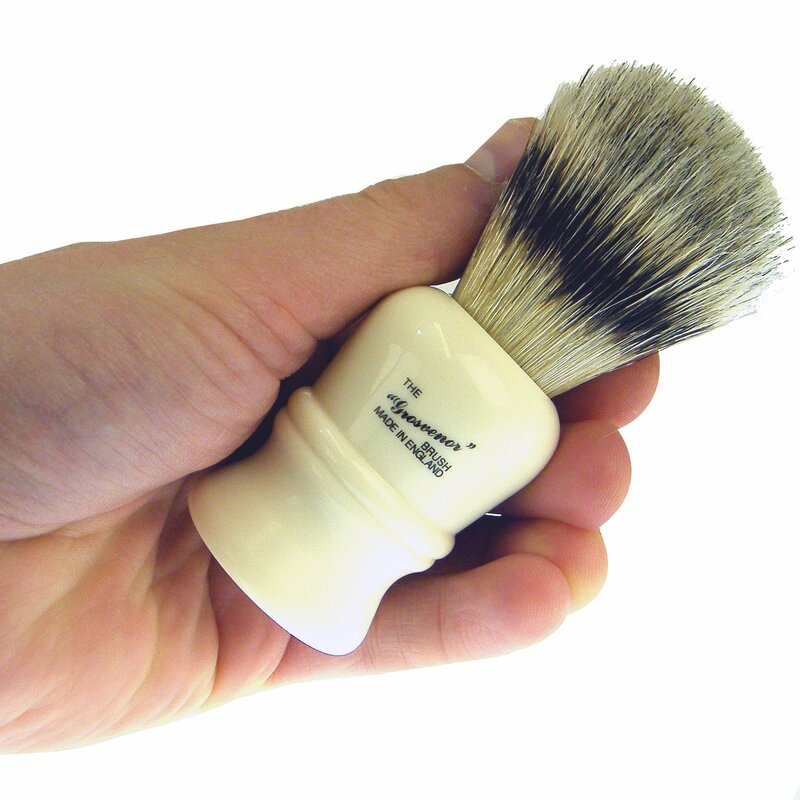 A well made shaving brush. 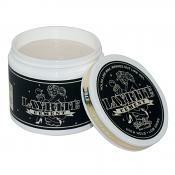 It has a good mix of boar and badger hair to give a reasonable stiffness that is required for solid shaving soap. This is a solid performer. The handle is a slightly larger and certainly longer version of the Duke's handle, and I was pleasantly surprised at how stiff the bristles are. I expect it to soften a little as the boar bristles split and the knot splays. When that happens this brush will go from pretty darned good to gosh darned fantastic! I'm not sure how long brushes are supposed to last, however I've had this one about 6 months now and the hairs have begun to fall out so its time to replace. Good buy for the price! I bought this to replace my cheap Men-U shaving brush which I was really not getting on with. This brush made a massive difference to my shaving experience. I would highly recommend it to anyone considering it. I bought this brush recently here because I made good experiences with Vulfix boar brushes in the past. I thought a boar/badger mix take it to the next level. The handle is very solid and absolutely worth the money. Awesome. The brush performs quite well but the bristles are too scratchy for my likings. It seems like the badger hairs in the knot are clipped at their tops. 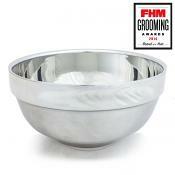 If you intend to use this brush with a shaving bowl - no problem and I would really recommend it for that application. Not ideal for face lathering if you have sensitive skin - it really stressed my skin before I even started to shave! Decent backbone, that's right. 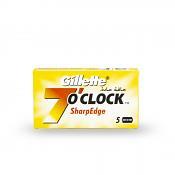 First uses it stinks a little when wet but vanishes after a few shaves. Overall a decent brush for the price. I started with a really cheap unbranded boar brush, lots of bristles fell off the brush and really didn't hold much lather, so I thought I would give this one a try, didn't think it would make much of a difference but I was completely wrong, holds lather very well and hardly any bristles fell out and allot softer. Would highly recommend this for a first brush, avoid the really cheap/unbranded ones from other suppliers as they nearly put me off. A true marvel of a brush for the money. Perhaps a little scritchy to begin with but not at all in a bad way and once broken is very comfortable on the face. This brush is able to create wondrous amounts of lather whether using creams or soaps and the handle is very comfortable in use with a good weight and substantial feeling. Another British-made triumph and a fantastic brush for anyone new to wet shaving - it may be all the brush you ever need. I will certainly not be parting with mine. I bought this shaving brush (the first i've ever bought) as it was a good price with good reviews, I was not disappointed. The handle is very comfortable with a nice weight to it and has a decent length, the bristles are solidly packed together and as of yet I have not had any escape!!! they were stiff at first but after a couple of weeks they have softened slightly and feel even better now. I use this brush with the Mitchell's Wool Fat Soap and together they produce a rich creamy lather with very little effort and this brush holds the lather enough for a couple more passes. I know there are some very expensive and better quality brushes out there but for the money (and being new to this style of shaving) you would be hard pressed to find a better brush, thank you shaving shack . 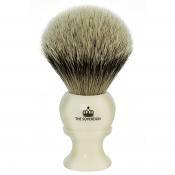 A superb brush with the perfect combination of soft water retaining badger and firm bristle. 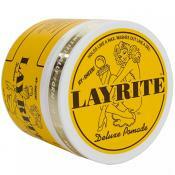 Brings my lather up a treat and provides the perfect start to my routine. Don't let the lack of expense of this brush put you off. 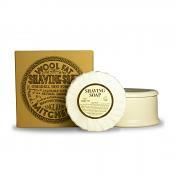 It's a great "scrubby" brush, capable of producing good amounts of lather, even from the Wool Fat soap and hard water. Fantastic brush that delivers far above its price bracket, lots of lather and deep application and firm massaging of the stubble to work your chosen shaving medium in to the whiskers. A great buy for beginners and veterans alike. Got this brush as wanted to try a boar brush but after reading about this mixed one I thought I would give it ago. 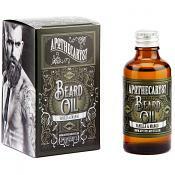 Its abit stiffer than my kent, which is what I wanted so its gives your whiskers and face abit more of an exfoliation. It also holds a good amount of water. For the money this brush is amazing and I would recommend it to anyone thinking of getting a new brush. if like me.. and fussy as can be! choosing the right brush can be a bit frustrating. to soft? to hard? to big? to small. (no laughing now) well look no further! the Progress Vulfix 404 IS THE ONE!!! perfect 50/50 of badger & boar, soft enough on the face, with a touch of stiffness to acompany any of your fav soaps or creams. not "scratchy" to use in any way! and deffo doesnt have any of that "wet dog" smell! even after one use. dont let the low price tag put you off in any way! at £10.99 this brush is a steal. Fantastic brush for the money that lathers well regardless of the soap! At this price you'd be a fool not to have one! A really good brush! The softness of the badger hair mixed with the stiffness of the boar bristle makes this a great brush for use with shaving soaps, and all at a great price! Very nice brush for the price! Decent size handle - just long enough to feel comfortable in the average man-hand. Was slightly stiff at first, but softened up nicely within a week or two of normal use (always helps to soak in hot water for a few minutes prior to lathering). Initially quite musty smelling, but this is a natural product and that's now passed. Easily the best value brush around. 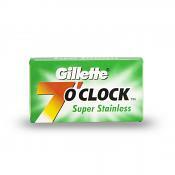 I got one of these to replace a cheap Wilkinson sword brush that I got from the supermarket. The difference is unbelievable; it produces a much better lather and exfoliates the face well. I bought this brush for my stepson as part of a Xmas box to get him in to DE shaving. I was so impressed by the quality on offer that I decided to purchase on for myself. This brush is one of the great bargains of shaving. 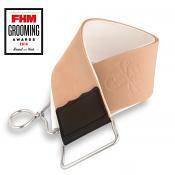 The handle is superb and made to a very high standard, the knot is spot on for soaps. 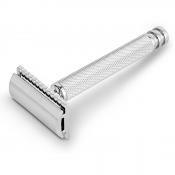 It helps produce a great lather and the handle feels so comfortable in your hand that it's a joy to use. Anybody wishing to try a brush out should look here first. The brush is a bargain and an absolute pleasure to use. Excellent value and performance from this brush. Even with my limited experience I was still able to create a good lather. Well made and excellent value for the money. The handle size is good. It's a little bit stiff in the beginning but loosens up after a while. Makes perfect lather together with the proraso shaving cream. initially quite stiff but that's how i like them nice shape to the handle, comfortable. Excellent brush and excellent price. Performs extremely well. Would definitely recommend this . This brush was purchased after reading lots of reviews as part of my first foray in DE shaving. What a great brush. And what a great price! There is no smell that I had read could be an issue with boar brushed and there was little 'breaking in' required (although it has softened, a little, even more with some use). 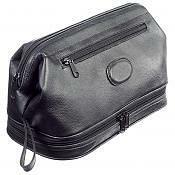 I have used mine for face and bowl lathering with creams and hard soaps. All round excellent value. Recommended! 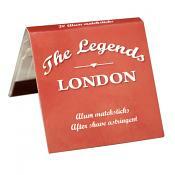 Slightly stiffer than my Commodore X2, but works equally well with a tube cream like Ingrams or Taylors of Old Bond St. I prefer the smaller handle of my X2 but this was bought to go in my travel wash bag without having to worry about it. All in all, a good brush at a decent price. I have been using this shaving brush with Proraso Shaving Cream for some time now and highly recommend it. When the brush first arrived, it was clear it was a quality product; the imitation ivory looks impressive. The brush is a mix of badger and boar which seemed a good compromise between retaining some of the desirable attributes of the badger bristles without breaking the bank. I can confirm that the brush can create a nice thick lather without much trouble. With hard water, it can be more difficult, and if you live it a hard water area, then think about spending a bit more to get an all badger hair brush. As stated in other reviews, the brush comes very stiff, but after a few uses the boar bristles have split and the brush has now softened nicely. Some reviews have complained that the bristles have fallen out after some time, but I have not had this problem. Yes, some bristles were lost on the first couple of shaves, but this was expected. Since then, only the odd bristle as been lost and the brush should continue to provide good service for many years. Great brush, finding it very easy to build a lather (having tried it with 4 different soaps already). Excellent value too! Use warm water! 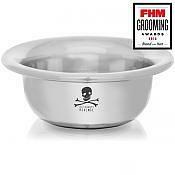 Hot or boiling water can cause damage, ultimately resulting in shedding. Hot, in brush terms, is usually considered to be anything above the 50 degree Celsius mark. Go easy with your brush! The core of the brush is where the magic happens and mashing down with your brush can twist and break the core hairs and over time cause hair loss and a dimpled effect in the centre of the brush. Rinse and dry after use. When you are done using your brush shake or flip it hard a few times to remove all the water and hang upside down in a stand to dry. If you don’t have a stand dry the brush thoroughly on a towel. Why is my brush shedding? Intermittent shedding is quite normal across all makes of brush. Please read our magazine article that explains the issue, its causes and how you can prevent it happening: Why is my shaving brush shedding hair?! !